LongArm design for the Drunkard’s Path quilt. Close up of the LongArm quilting design for the sampler quilt. Did you do this free motion or did you use a pattern, or a pounce stencil? Did you stop and start on each of the areas I can’t see any connections. It is lovely…and is what I want to do on my quilt. 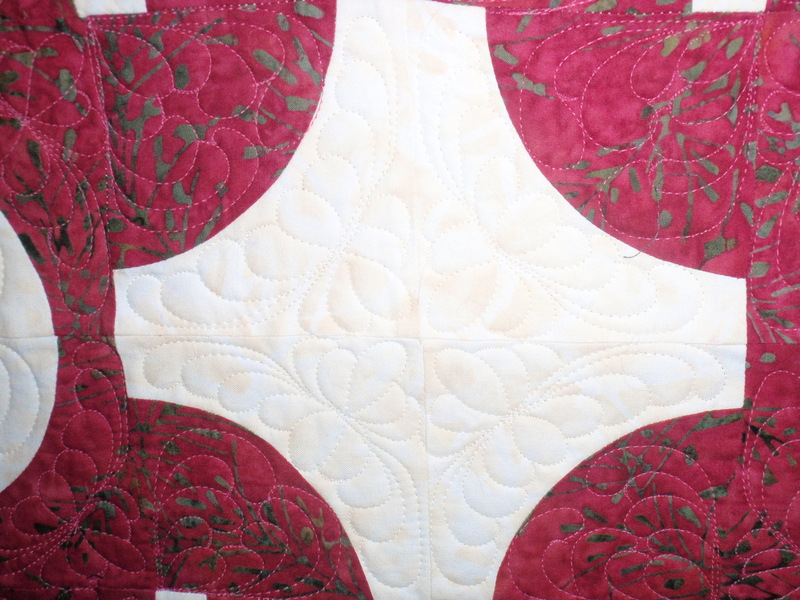 The quilting is free motion. I did not use a pattern. I did not use a stitch regulator either. I did stop and start in each section. I loved how it turned out. I am glad you like it.